The notion of ethics has become almost unavoidable when talking about entrepreneurship. It can take many forms depending on the business sector. When it comes to Fashion, I discovered that more and more brands integrate this principle in their concept and production process. Recently, I became interested in the Ethical Fashion Initiative. This organization connects fashion designers and artisans throughout the world and particularly in Africa. With their slogan “Not charity, just work”, it is mainly about enhancing the exceptional know-how of people living in poverty. The aim is to help them develop their economies through their talent and creativity. 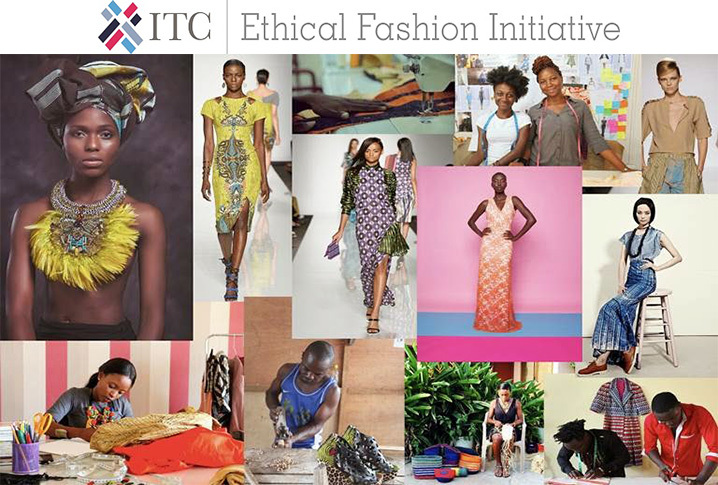 The Ethical Fashion Initiative is dedicated to support African designers with strong potential by organizing since 2013 the “African Fashion Designer mentoring program “. The organization makes a very careful selection of designers with whom it wishes to establish a lasting partnership.